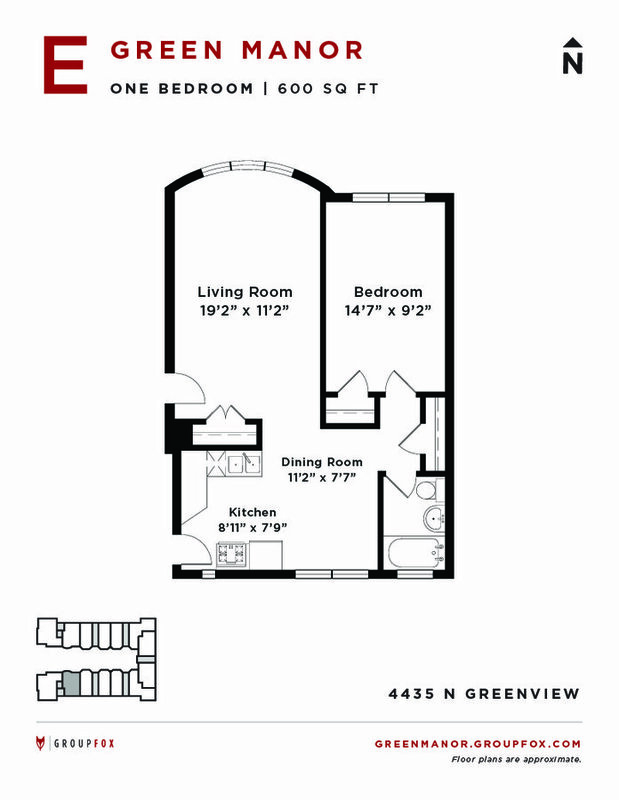 Green Manor is a Chicago apartment located at 4435-4443 N. Greenview St.. 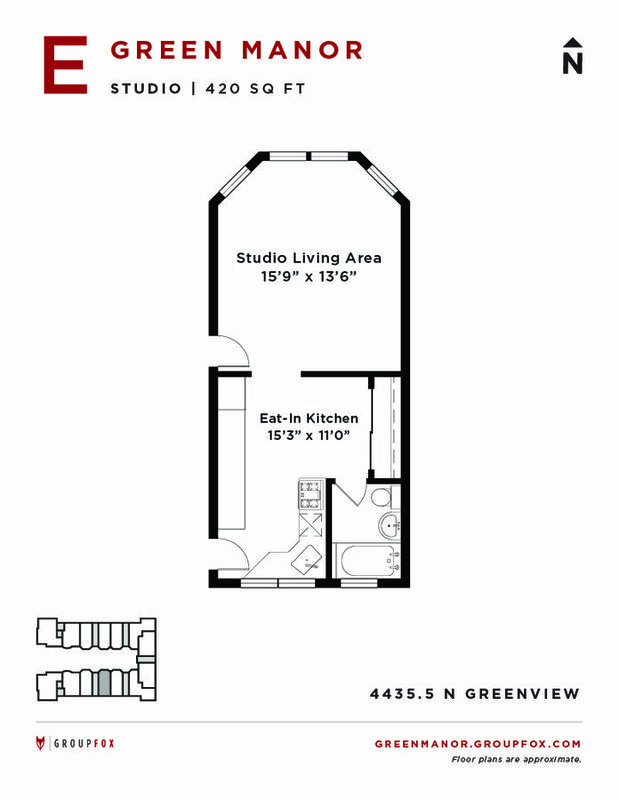 The property features 9 unit types ranging from studio/1 bathroom to 1 bedroom/1 bathroom with rent ranging from $1050 - 1300; the market average ranges from $1,408 to $1,691 for studio and 1 bedroom apartments, respectively. Green Manor is located near the Alta Vista Gardens neighborhood just 1.11 miles from the center of Chicago and 1.93 miles from DeVry University-Illinois. The property has a Walkscore of 92, so you will be in walking distance of everything you'll need on a daily basis. Green Manor has many shops nearby. Coffee shops in the area include Southport Grocery and Cafe, Starbucks, Intelligentsia Coffee Broadway Coffeebar. There are a number of markets in the area include Target, Whole Foods Market, Trader Joe's. This area of Chicago has many restaurants and bars nearby. Restaurants in the area include Las Tablas, Mad River Bar & Grille, Rockit Burger Bar. And there are a number of bars in the area include Metro, Schubas Tavern, aliveOne.